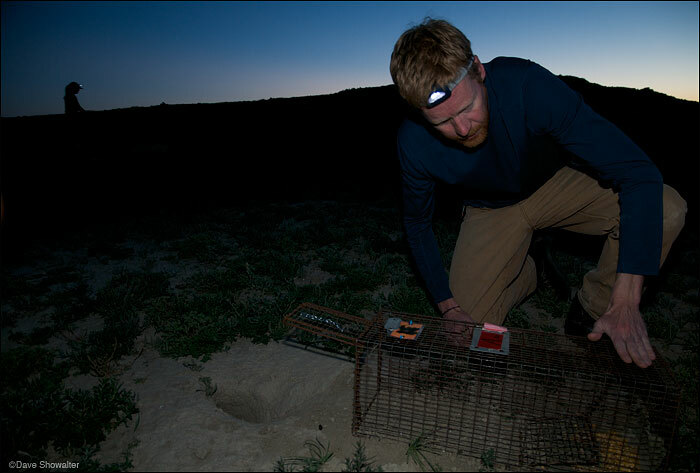 Jonathan Proctor of Defenders of Wildlife baits a prairie dog trap before dawn. The Thunder Basin relocation involved a consortium of USFS, private land owners, and NGO's for the first relocation from private to public lands. An entire colony would have been poisoned.